NJ imposes some of the harshest punishments in the country for weapons offenses. 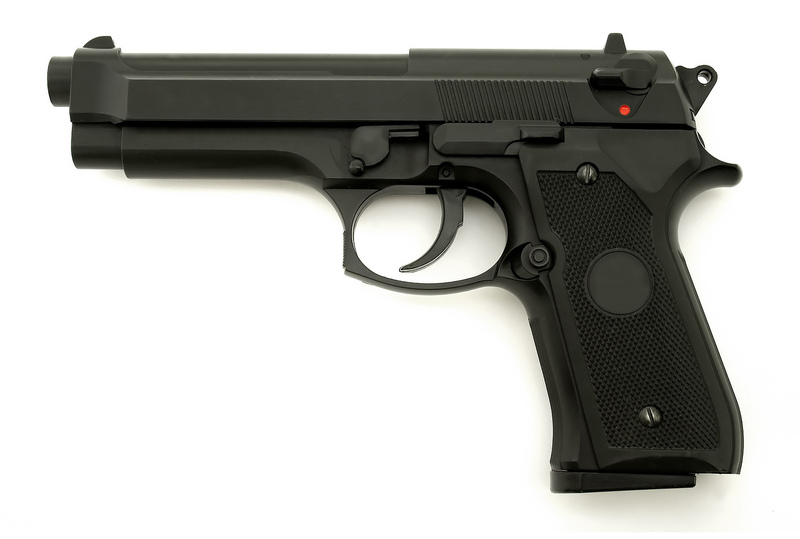 Most people know that illegally possessing a firearm in NJ can lead to severe penalties. But not everyone realizes that even attempting to dispose of a gun can result in serious penalties, including prison time. If you’ve been charged with unlawful disposition of a firearm, you need a Morris County NJ unlawful disposition of a firearm defense lawyer. The Tormey Law Firm is a criminal defense team that places a particular emphasis on defending clients charged with weapons offenses. Travis J. Tormey, the firm’s founding partner, has extensive experience representing clients charged with illegal gun offenses, including unlawful disposition of a firearm, unlawful possession of a weapon, and possession of an Airsoft or BB gun. Mr. Tormey has obtained positive results for countless clients charged with weapons offenses in Morris County, including in Morristown, Parsippany, Netcong, Washington Township, and Randolph. He is available to assist you immediately at 866-949-6948. Simply contact The Tormey Law Firm in Morristown today for a free consultation with a Morris County firearms defense attorney. d. Weapons. Any person who manufactures, causes to be manufactured, transports, ships, sells or disposes of any weapon, including gravity knives, switchblade knives, ballistic knives, daggers, dirks, stilettos, billies, blackjacks, metal knuckles, sandclubs, slingshots, cesti or similar leather bands studded with metal filings, or, except as otherwise provided in subsection i. of this section, in the case of firearms if he is not licensed or registered to do so as provided in chapter 58, is guilty of a crime of the fourth degree. Any person who manufactures, causes to be manufactured, transports, ships, sells or disposes of any weapon or other device which projects, releases or emits tear gas or other substances intended to produce temporary physical discomfort or permanent injury through being vaporized or otherwise dispensed in the air, which is intended to be used for any purpose other than for authorized military or law enforcement purposes by duly authorized military or law enforcement personnel or the device is for the purpose of personal self-defense, is pocket-sized and contains not more than three-quarters of an ounce of chemical substance not ordinarily capable of lethal use or of inflicting serious bodily injury, or other than to be used by any person permitted to possess such weapon or device under the provisions of subsection d. of N.J.S.A. 2C:39-5, which is intended for use by financial and other business institutions as part of an integrated security system, placed at fixed locations, for the protection of money and property, by the duly authorized personnel of those institutions, is guilty of a crime of the fourth degree. g. Assault firearms. Any person who manufactures, causes to be manufactured, transports, ships, sells or disposes of an assault firearm without being registered or licensed to do so pursuant to N.J.S.A. 2C:58-1 et seq. is guilty of a crime of the third degree. i. Transporting firearms into this State for an unlawful sale or transfer. Any person who knowingly transports, ships or otherwise brings into this State any firearm for the purpose of unlawfully selling, transferring, giving, assigning or otherwise disposing of that firearm to another individual is guilty of a crime of the second degree. The temporary transfer of a firearm while hunting or target shooting, the transfer of any firearm that uses air or carbon dioxide to expel a projectile, or the transfer of an antique firearm shall not constitute a violation of this subsection. Depending on the type of weapon, unlawful disposition of a firearm can be classified as a second degree, third degree, or fourth degree crime. A second degree charge will expose a defendant to as many as 10 years in NJ State Prison. Machine guns – N.J.S.A. 2C:39-9(a). Sawed-off shotguns – N.J.S.A. 2C:39-9(b). Defaced firearms – N.J.S.A. 2C:39-9(e). Assault firearms – N.J.S.A. 2C:39-9(g). If you are charged under the Graves Act, you could be looking at a minimum sentence of three (3) years in NJ State Prison. Even a plea offer by the prosecution will likely include state prison time. That is why it is imperative that you speak with a lawyer who understands the nuances of the law and who knows how to successfully apply for a Graves Act Waiver. The experienced Morris County gun crime defense lawyers at the Tormey Law Firm fight and beat gun charges in NJ. We know how to raise the most effective defenses on your behalf. In many cases, we can challenge illegal searches. In other cases, we are able to successfully negotiate plea deals and reduce minimum sentences. Our criminal defense team has extensive experience with gun cases. If you’ve been charged with unlawful disposition of a firearm in Morris County NJ, do not wait to speak with an attorney. You can reach us anytime at (908) 336-5008 or toll-free at 866-949-6948, or you can use the online contact form to schedule a free consultation.